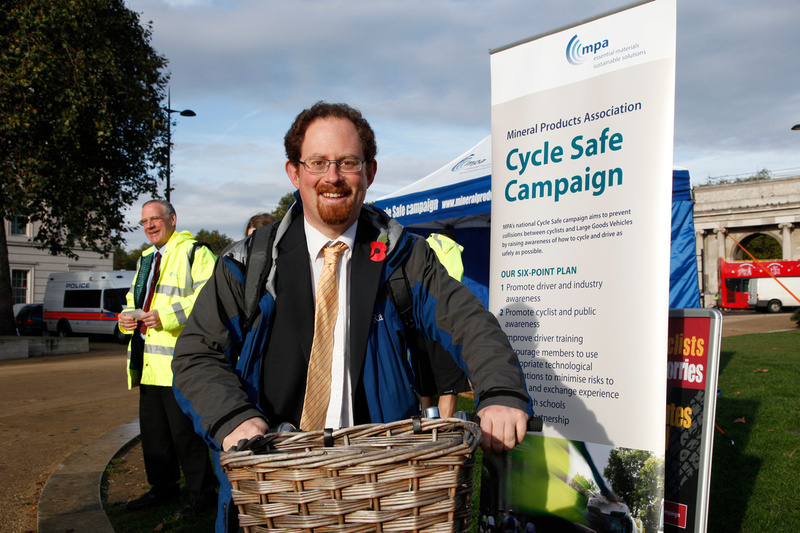 Transport Minister, Stephen Hammond MP, has praised the Mineral Products Association (MPA) for its new Vulnerable Road User Safety Policy which was launched on Wednesday 31 October at a joint National Cycle Safe Event with the All Party Parliamentary Cycling Group at Wellington Arch, Hyde Park Corner, London. 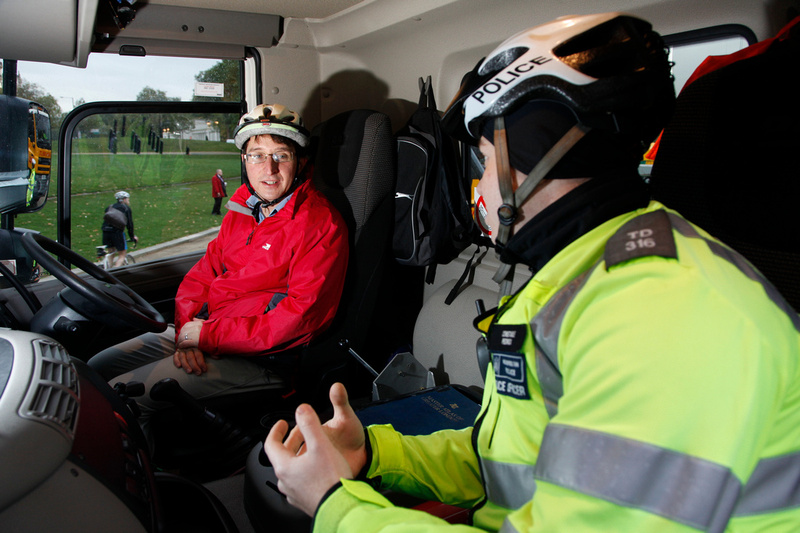 The event also showcased the Metropolitan Police’s Exchanging Places initiative, supported by MPA, whereby large numbers of passing cyclists were able to experience visibility issues first hand from inside the cab of the four Large Goods Vehicles (LGVs) – provided by Hanson UK, Lafarge Aggregates, S. Walsh & Sons and Tarmac – to find out where to position themselves safely on the road in relation to lorries. 1. All industry drivers must receive vulnerable road user training. The industry training body has developed a specific course which will be CPC approved and available shortly. 2. New industry LGVs must be fitted with additional safety equipment including blind spot elimination devices and mirrors, side under-run guards, audible left turn warnings for cyclists and pedestrians, and rear warning signs. 3. Existing industry LGVs must be fitted with similar equipment levels within an extended 5 year period with operators encouraged to consider accelerating this timing. MPA’s position is that there is joint responsibility for road safety. National and central government must ensure that roads and junctions are designed for safety and properly maintained, LGV operators and drivers must take action to minimize the risk of collisions and Cyclists and other vulnerable road users must behave responsibly. The background to this policy initiative is the continuing growth in the number of cyclists, particularly in urban areas, and consequently the increased risks of collisions between cyclists and motor vehicles, including lorries. 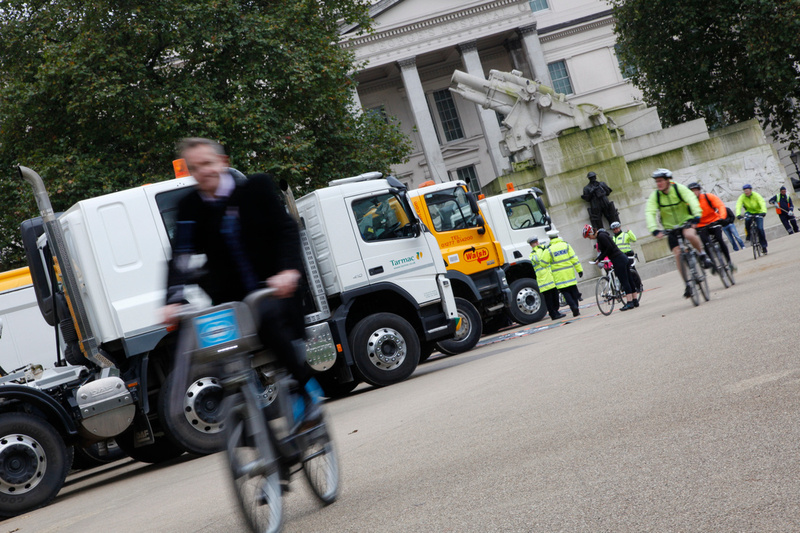 MPA’s Cycle Safe campaign helps to raise awareness on both sides of how to cycle and drive as safely as possible and highlights the potential risks of undertaking lorries and getting too close to them at left-hand turns and roundabouts. Cyclist safety is an important issue not just in London and urban areas, but nationally. In recent months, the issue has moved up the public and political agenda with Team GB’s cycling success at the Olympics encouraging more people to take to their bicycles and raising the profile of the sport; and the launch of The Times newspaper’s Cities Fit for Cycling campaign, which has galvanized action to make the roads safer for cyclists. 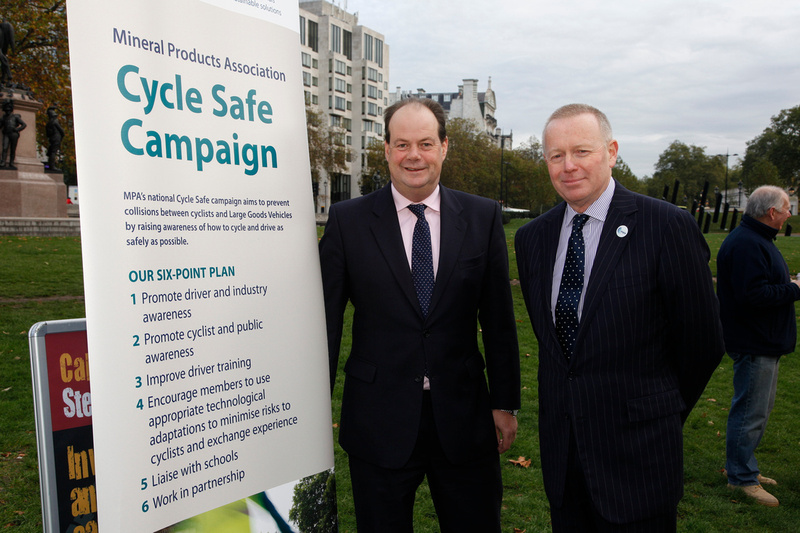 Following the outdoors event at Wellington Arch, a meeting with the Transport Minister was held at the House of Commons on cycle safety issues. 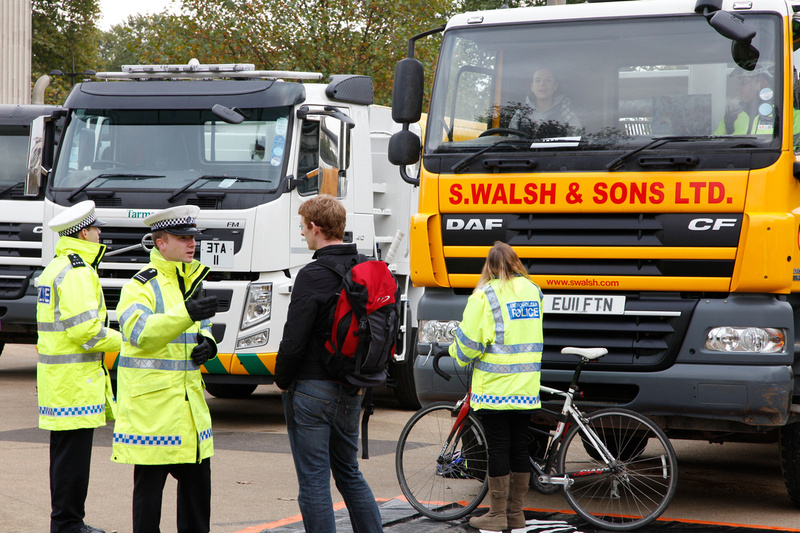 Those in attendance at the launch event included Chief Superintendent Scott Wilson from the Metropolitan Police, cycling body representatives, road safety campaigners, LGV drivers, industry and motoring representatives, MPs, a London Assembly representative and officials from Transport for London.